I don’t have any kids of my own, but if I did, I would take their physical education as seriously as their intellectual development. After all, active kids are not only healthy kids, they generally tend to do better in school. This is why athletics are so important for kids and adults alike. In order to get more kids interested in fitness, we should broaden what we consider to be athletics. The focus in schools is often on boring old calisthenics, team sports or track, and I think this is very limiting. I believe widening the scope of athletics to include acrobatics can help kids find the fitness activity that is right for them. It can also accommodate children who are not inclined to play team sports for whatever reason. If kids aren’t having fun with what they’re doing, they won’t stick to it. Many people don’t see acrobatics as athletic, but I do. How are the abilities of trapeze artists, tight-rope walkers, or jugglers not athletic? What is probably the biggest stumbling block to wider acceptance of acrobatics as athletics is acrobatics close association with the circus. This association is unfortunate since the world of acrobatics offers so many fun ways to stay fit that can either be the mainstay of you or your child’s athletic routine, or a supplement to it. And before anyone mentions it, I am not recommending you or your kids take up acrobatic daredevilry. Juggling is arguably the best gateway to this world, and it’s a safe(unless you juggle chainsaws), fun athletic activity in and of itself. It’s definitely a step forward that more schools are including juggling and acrobatics in their physical education programs. Acroyoga is another excellent way to practice acrobatics. Not surprisingly, juggling and/or acrobatics is linked with improved academic scores. The more options kids have when it comes to athletics, the better. Many people I know have trouble learning how to juggle or joggle. I always tell them to practice more, or that “practice makes perfect”. Some of them improve, some of them don’t. After all, I attribute my “success” at joggling to practicing a lot. I do not believe my joggling ability is due to being genetically gifted. On the contrary, as I’ve said many times before on this blog I never excelled at sports and I don’t think I am uniquely well-coordinated. I joggle 5 to 6 times a week, and juggle every day. More than 20 years ago, researchers proposed that individual differences in performance in such domains as music, sports, and games largely reflect individual differences in amount of deliberate practice, which was defined as engagement in structured activities created specifically to improve performance in a domain. This view is a frequent topic of popular-science writing-but is it supported by empirical evidence? To answer this question, we conducted a meta-analysis covering all major domains in which deliberate practice has been investigated. We found that deliberate practice explained 26% of the variance in performance for games, 21% for music, 18% for sports, 4% for education, and less than 1% for professions. We conclude that deliberate practice is important, but not as important as has been argued. Interesting study. It concludes that while practice is important, it isn’t as important as previously thought. This doesn’t mean you should stop practicing whatever it is you are trying to master, if it often proves challenging for you. It would be ridiculous for someone to give up playing cello just because they’re not as good as Yo-Yo Ma. The same could be said for juggling/joggling. 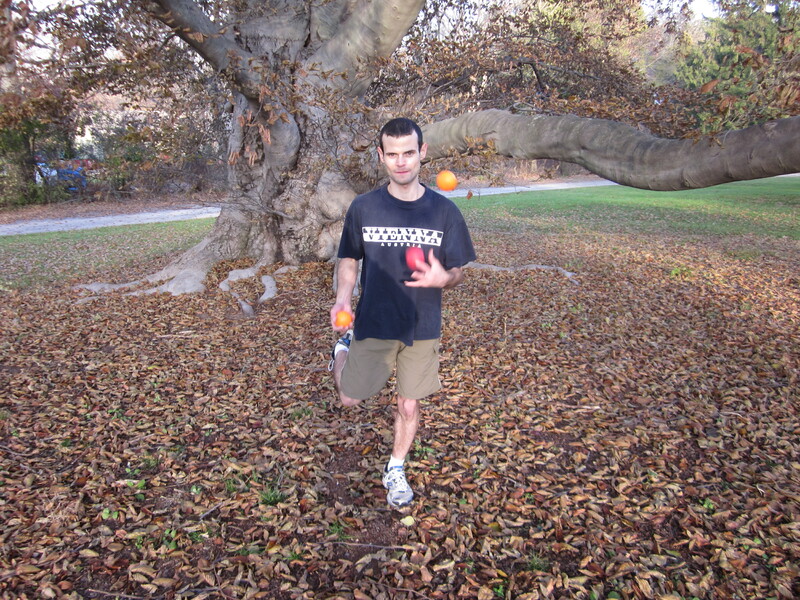 In my opinion, joggling would count as “sport”, and 18% of the variance in joggling performance could be explained by practice, based on the above study. This is an extremely complex issue, so this study is hardly the final word. I’m sure this study could be interpreted many different ways by people more skilled at reading scientific studies. When it comes to human potential, science at best gives us only a few clues. It is ultimately up to us to find out what we are really capable of. Many runners and other athletes don’t often think about balance. Runners, in particular, are mainly concerned with speed and endurance, not balance. Yet doing some balance training may help improve your proprioception, which is the perception of your body’s position and movement. This may make you a better runner, especially in difficult terrain, and may decrease your risk of falling and injury. Most of the balance training(besides joggling) I do involves juggling while standing on one foot. I really believe this has helped improve my balance, and my joggling ability. I’ll sometimes spin around on one leg(while juggling), to make it more challenging and to improve my balance further. This is also a great reason to learn to juggle, since this kind of training improves both coordination and balance. I can juggle up to 4 balls on 1 leg, and I am working on 5. Doing high throws can make this extra challenging – I usually drop the balls. I often do this at home for a few minutes every day, but I prefer doing this when going on hikes in the woods, often on a narrow or pointed section of a big rock outcropping. This can make it even more fun, as well as more challenging. I’ll do this after joggling around for several miles, or on days when I’m not joggling. 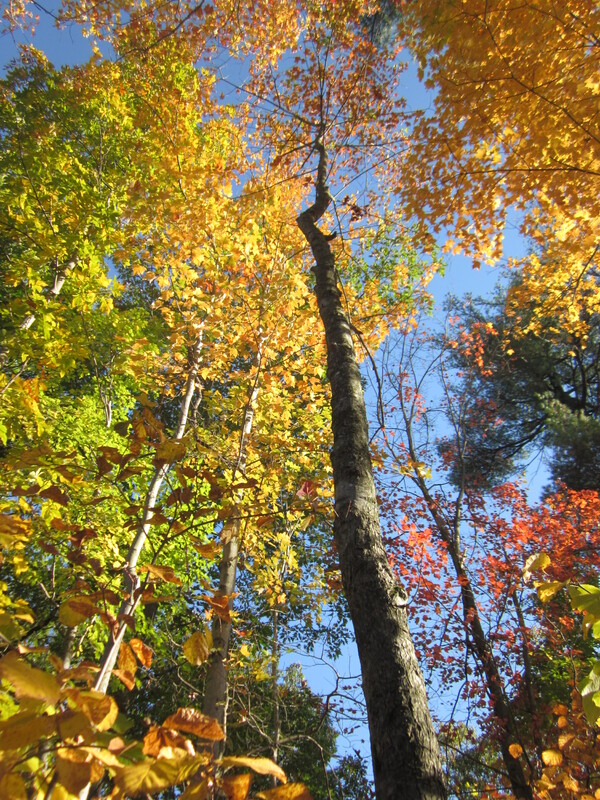 As I often say, the great outdoors is my gym. 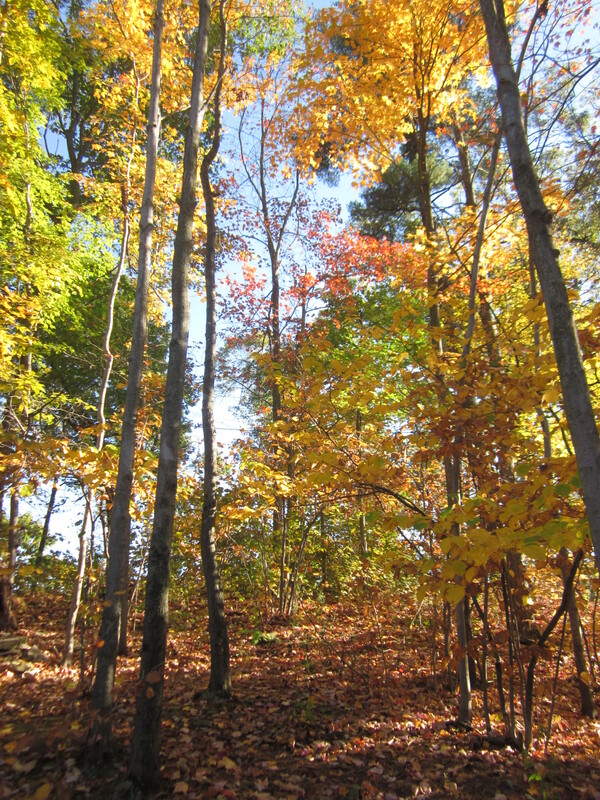 If I bring my resistance bands with me on a hike, I can do a total body workout in the middle of the woods! This is especially wonderful if I’m on top of a big hill with a spectacular view of the countryside. For beginners though, I recommend doing this at home or on flat surfaces. If you can’t juggle, try shadow-boxing or doing arm exercises on one leg. Even some strength-training can be done on one leg, but be careful if you have a bad knee. Don’t start doing anything crazy on rocks. Work up to it gradually; slipping and banging your knee against a big rock doesn’t feel gneiss. As I said before, doing some balance training may help prevent falls. In fact, among the elderly, not being able to balance yourself on one leg predicts injuries from falls. So people of all ages can benefit from this. For a more detailed look at this, check out: The Benefits of Balance Training for Runners, at RunnersConnect. There are many different types of balance training, and this just scratches the surface. If you are learning to joggle and are making slow progress, some balance training may help improve your joggling ability. What kind of balance training do you do, if any? Like a lot of fitness fanatics, I do a lot of reading. I am always looking for new information to help me and my readers and friends improve their athletic performance and overall health. One area in particular I love exploring are the differences between upper body exercise and lower body exercise. So I was very excited when I found this- The inflammatory response to upper and lower limb exercise and the effects of exercise training in patients with claudication.I have cited some studies that contrast upper body with lower body exercise before, but they weren’t about the amount of inflammation in response to upper body versus lower body exercise. I’ve been curious about this for some time. To make the long story short, inflammation can be a good thing at a moderate level, while chronic inflammation is associated with, and may play a role in causing many serious diseases. An acute bout of sustained lower limb exercise significantly increased the intensity of CD11b and CD66b(these are markers for inflammation) expression by peripheral blood neutrophils in all groups, whereas upper limb exercise had no effect. Resting neutrophil expression of CD11b and CD66b and circulating von Willebrand factor levels were unaffected by the training program, as were the inflammatory responses to an acute bout of sustained upper and lower limb muscular work, despite the fact that both training programs significantly increased walking distances. These findings indicate that upper limb exercise training programs may offer certain advantages over currently prescribed lower limb programs. Our results show that exercising nonischemic muscles in a way that promotes improved cardiorespiratory function and walking capacity can avoid the potentially deleterious systemic inflammatory responses associated with lower limb exertion in patients with stable intermittent claudication. So in essence, the lesson here is that lower body exercise produces a lot of inflammation, while upper body produces none(based on the specific markers used). This makes sense in a way since lower body exercise is generally weight-bearing, compared to most upper body exercise, and the leg muscles are generally larger. This isn’t really that surprising. So upper body cardio probably wouldn’t be as exhausting, obviously. And as far as joggling is concerned, most of the inflammation is due to the running(most of the effort/calories burned is due to the running), not the juggling, so if you are afraid that adding juggling to your running will be problematic for you, there is little reason to be concerned. Unlike regular running, joggling helps improve posture and coordination, with little to no drawbacks. For distance runners, finding the right kind of backpack for long runs can be difficult. There are many factors to consider. After my cheap Jansport fell apart last month I started looking for a replacement. I need something that I can run/joggle with that doesn’t shake too much, or stick out too much. It’s also very important that the shoulder strap feels comfortable, almost like it’s not there. And, obviously, allows full freedom of movement for my arms. After a lot of searching, I decided to get the Black Diamond Bullet, which is great for day-trips, hiking, and based on my experience, running/joggling. I tried it out at the store first before ordering it online. It was cheaper buying it online, though I still think it costs a little more than it should. Hopefully it will prove it’s worth. If it lasts me many years then I will consider the price justified. I rarely need to run with a backpack. I only bring one with me for long runs that require energy bars, water, and sometimes lunch. However, I always bring a backpack with my on hikes. Though I just got it, the Black Diamond Bullet seems to be near perfect for long runs. It’s pretty compact, low-profile(doesn’t stick out too much) and besides the main, roomy compartment, has only one outside pocket. I don’t need so many small pockets like you see on other backpacks. 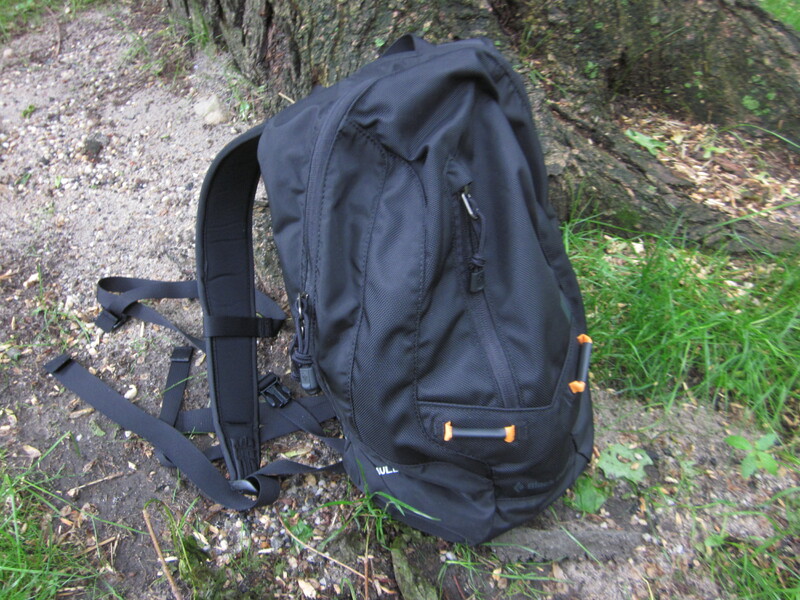 This backpack is great for carrying a change of clothes, along with shoes, juice, and energy bars. The product dimensions are 6 x 16 x 9 inches ; 13 ounces. It’s volume is 16 litters, and it is made of “Tough” 420d nylon and 1260d Ballistic nylon. It has both a chest and waist strap to improve stability while running or rock-scrambling. So far, I’ve only had to use the chest strap. Although I’ve already used it for short hikes and runs, I finally decided to test it out on a moderately long run. 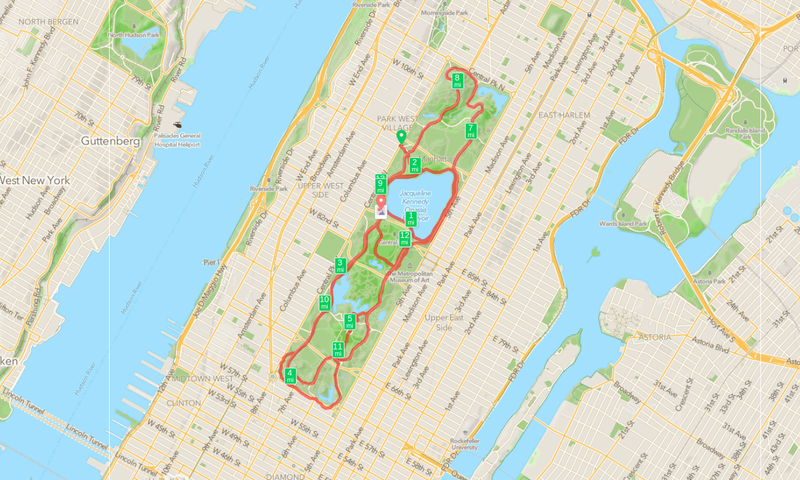 Yesterday, I ran 13.1 miles(a half-marathon) with it through Central Park, one of the busiest parks in New York City. I had a half full water bottle and 3 Cliff Bars in the backpack while running, and I used the chest strap. 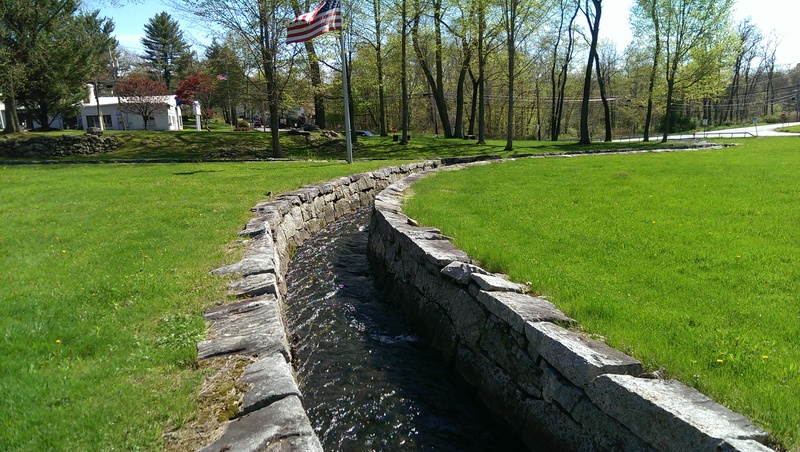 It was a pleasant day, with temperatures going from the upper 60s to low 70s while I ran. It was mostly cloudy, but dry. As I am sure most of you know, I am a joggler, so I am even more particular when it comes to choosing the right kind of backpack for running. I need to be able to move my arms without any interference from the shoulder or chest straps. I am happy to report that this backpack allowed total freedom of movement of my arms. So much so, that I joggled the entire 13.1 miles without dropping the balls even once(and I didn’t get mugged either!). I admit I did stop juggling a few times, like when I had to cross some busy paths, or when it got very crowded, but these stops were very brief. I still do drop often enough that this surprised even me. Sometimes it felt like the backpack wasn’t even there. It is very more surprising that I didn’t drop considering all the tricks I was doing, like high throws, “tennis”, spins, and even backwards joggling, without any problems. 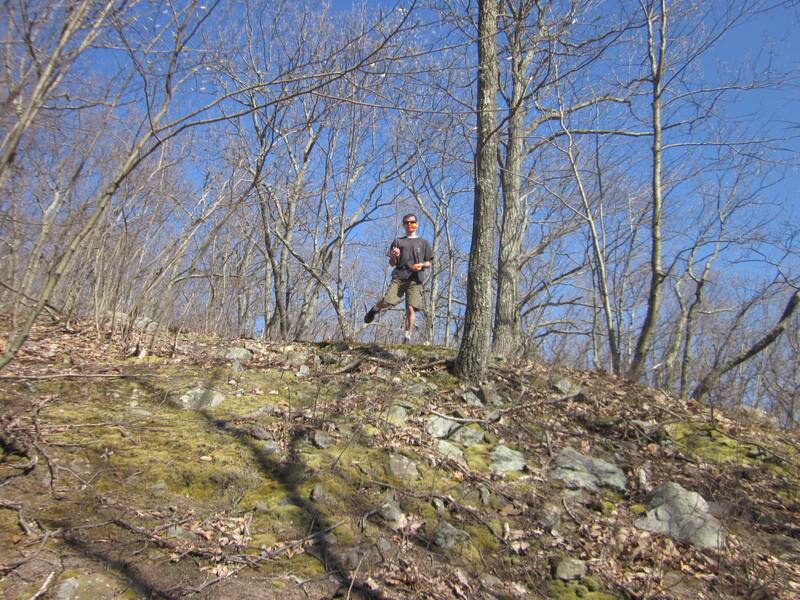 Though I mostly stayed on the main running path, I sometimes did run on some dirt trails and up and down hills. This bag has many straps, which I thought might interfere with my joggling, but I tucked the longish waist straps which I didn’t use into my running belt. I will definitely use this if I do any ultra-runs(it is hydration compatible, but I don’t think I’ll be using this feature). I am mindful that just because something feels comfortable at 13 miles doesn’t mean it will still feel comfortable by mile 40 or 50. I realize there are backpacks specifically for ultra-runners, but they are either too expensive, or they have some features I don’t care for. Besides this, I don’t think they are really necessary. I will let everyone know how it goes if I should do an ultra-run. Be aware that this backpack has no padding for your back, so be careful what you put in it so it doesn’t nudge you. Even though I had a water bottle in the pack, my back didn’t feel it. I hope it lasts a lot longer than the Jansport. The more I think about it, the more joggling seems like an ideal way to test out backpacks and how much freedom of movement they allow. Overall, it was a lot of fun testing this backpack out in Central Park, the heart of Manhattan. I even had my vegan T-shirt on; some people were intrigued by the fact that the man joggling around the park is a vegan. It’s great that what I do gets people thinking! Overall, the people in the park loved my joggling, especially the tourists and children. I was hoping to run into some fellow jogglers down there, but I didn’t see any unfortunately. However, there are always a lot of street acrobats and other amazing performers in Central Park who are very entertaining. Be sure to check them out if you’re ever in the city. The Wild Juggling Anniversary Contest! MMX balls. 2 orange, 1 red. 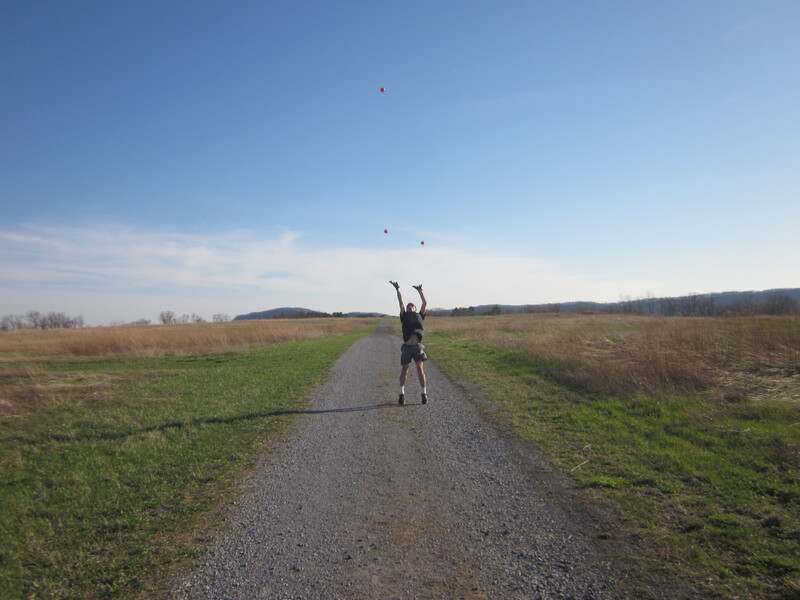 To celebrate the 1st anniversary of Wild Juggling, I decided to have a contest. I am sorry, but it is only open to followers who live in the U.S. The prize is 3 quality juggling balls. They are MMX balls, about medium size, and are great for both beginners and experienced jugglers. They are rubber balls stuffed with millet. They hardly bounce. Hey, if you were expecting a free trip to the French Riviera, then you are on the wrong blog. The balls are in relatively good condition since I rarely use them. I have so many spare juggling balls that most don’t get used very often, except sometimes by family members or friends who I try to teach. If you could be any animal for one day, which animal would you be? And why? Explain in as many words as you want. A panel of judges(okay, only me) will choose the winner based on whoever writes the most interesting little essay. I’ll decide over the next few days who the winner is. 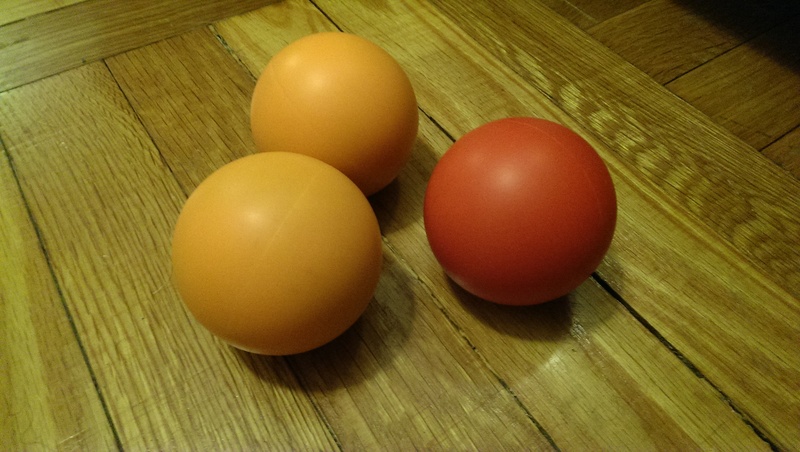 If you don’t know how to juggle, you can use these balls to learn, so you don’t have to know how to juggle to take part in this contest. The shipping is free and I hope the winner enjoys the balls. I will announce the winner and contact them by email(if their email is available). If their email is not available then they should contact me. 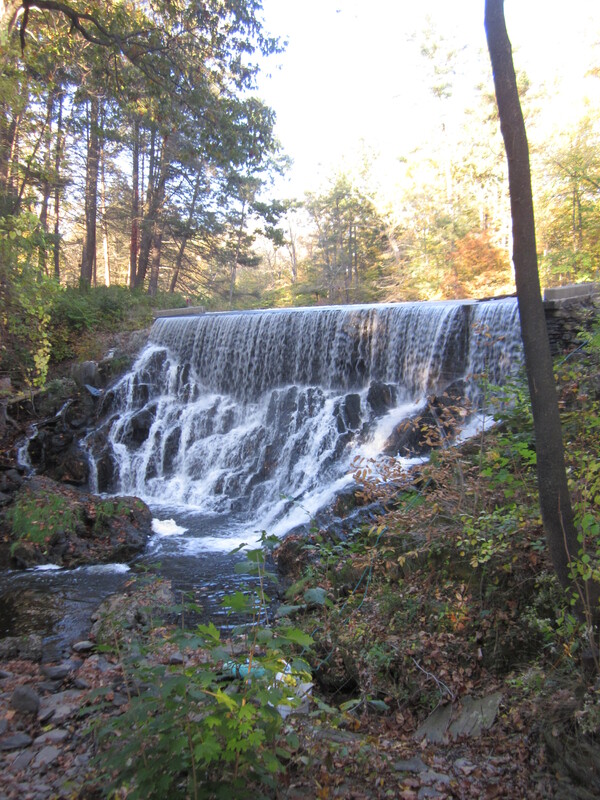 Waterfall in Hyde Park, NY, in Dutchess County. 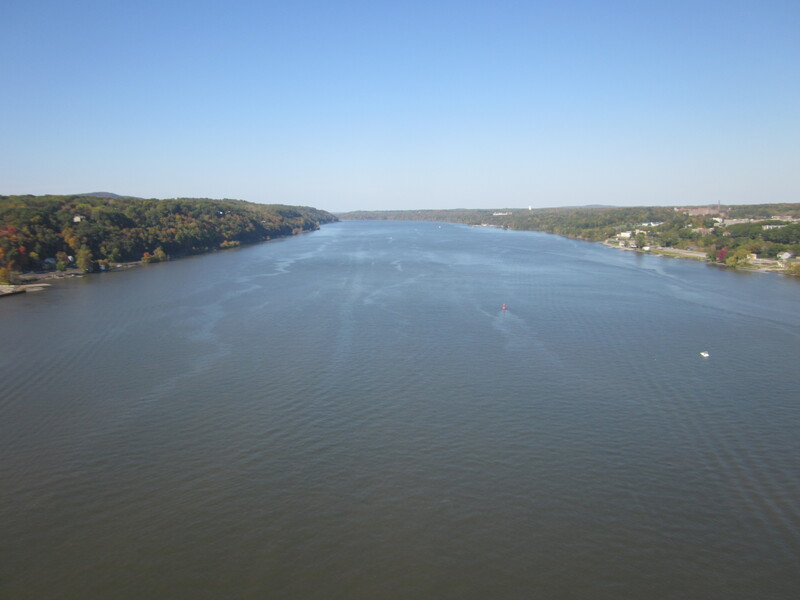 Crossing the Walkway Across the Hudson from Poughkeepsie to Ulster county. The answer is yes. Students at the Department of Control Engineering at Prague’s Czech Technical University have built a robot that can juggle 5 balls. I can’t even juggle 5 balls. This is incredible. I wonder if they will figure out ways to get robots to juggle 7, 8, 9, or even 50 balls? Or how about a robotic joggler? Unlike most other fitness blogs, brain fitness plays a very important part in Wild Juggling’s approach to fitness. Why just exercise your heart, and your muscles, when you can exercise your brain? This is what juggling is all about really. Improving your coordination by learning to juggle is as much a brain exercise as it is an arm exercise. It requires discipline, focus, and dexterity to maintain a juggling pattern while standing still; even more when joggling. Juggling is sort of like meditation due to the focus it requires. This is why I often recommend people learn to meditate before they try to learn how to juggle. Meditation can help you relax, and may help improve focus. This will come in handy later when you learn to juggle. Although the systematic study of meditation is still in its infancy, research has provided evidence for meditation-induced improvements in psychological and physiological well-being. Moreover, meditation practice has been shown not only to benefit higher-order cognitive functions but also to alter brain activity. Nevertheless, little is known about possible links to brain structure. Using high-resolution MRI data of 44 subjects, we set out to examine the underlying anatomical correlates of long-term meditation with different regional specificity (i.e., global, regional, and local). For this purpose, we applied voxel-based morphometry in association with a recently validated automated parcellation approach. We detected significantly larger gray matter volumes in meditators in the right orbito-frontal cortex (as well as in the right thalamus and left inferior temporal gyrus when co-varying for age and/or lowering applied statistical thresholds). In addition, meditators showed significantly larger volumes of the right hippocampus. Both orbito-frontal and hippocampal regions have been implicated in emotional regulation and response control. Thus, larger volumes in these regions might account for meditators’ singular abilities and habits to cultivate positive emotions, retain emotional stability, and engage in mindful behavior. We further suggest that these regional alterations in brain structures constitute part of the underlying neurological correlate of long-term meditation independent of a specific style and practice. Future longitudinal analyses are necessary to establish the presence and direction of a causal link between meditation practice and brain anatomy. This sounds impressive. Although premature, it does appear meditation can help improve the brain. It is no miracle cure, it’s not magic, and it won’t help you levitate(though some may disagree), but based on this and in my own personal experience as an occasional meditator, it does help improve focus, besides helping me relax. That it may lead to permanent alterations in the brain’s anatomy isn’t that big of a surprise, since learning anything can lead to alterations. Meditation won’t turn you into a genius, but the brain changes it leads to seem to be positive.